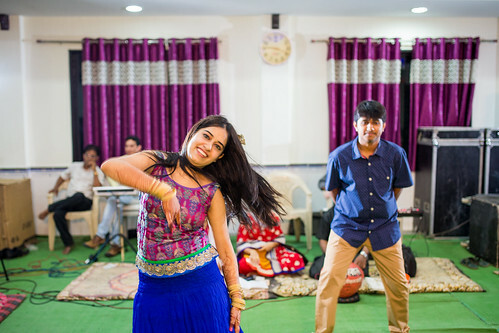 We love bringing stories from all parts of the country as much as we love shooting them. 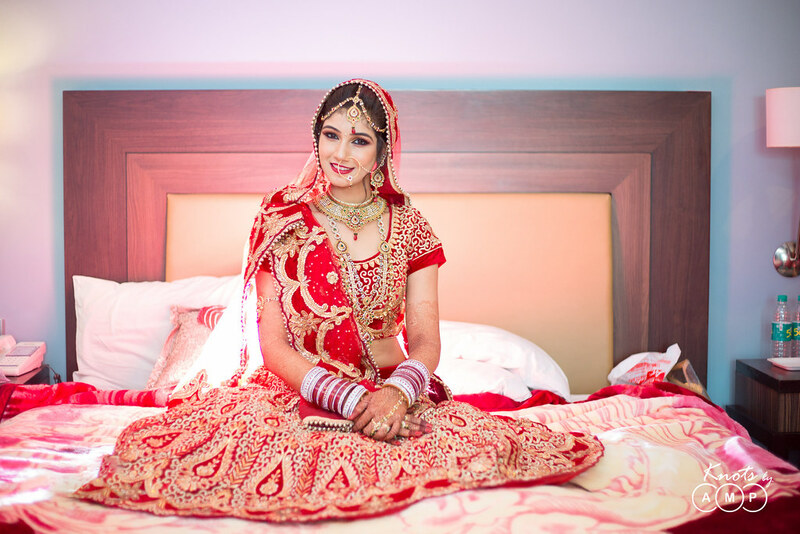 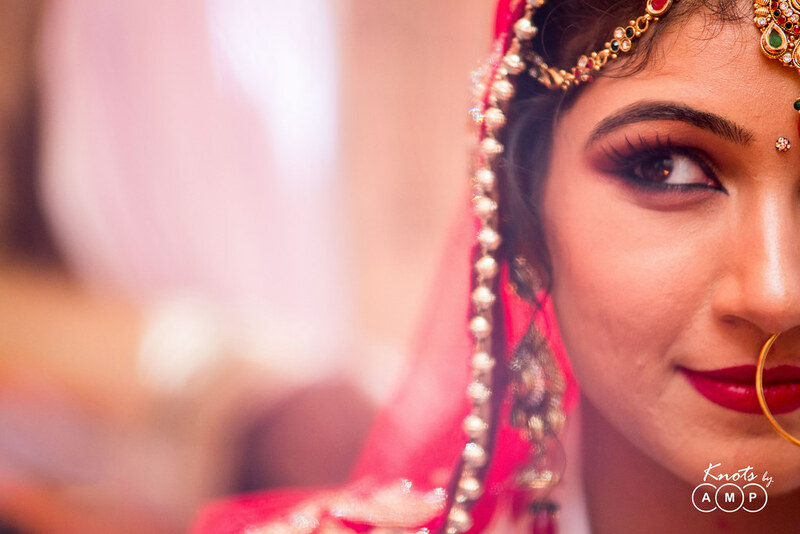 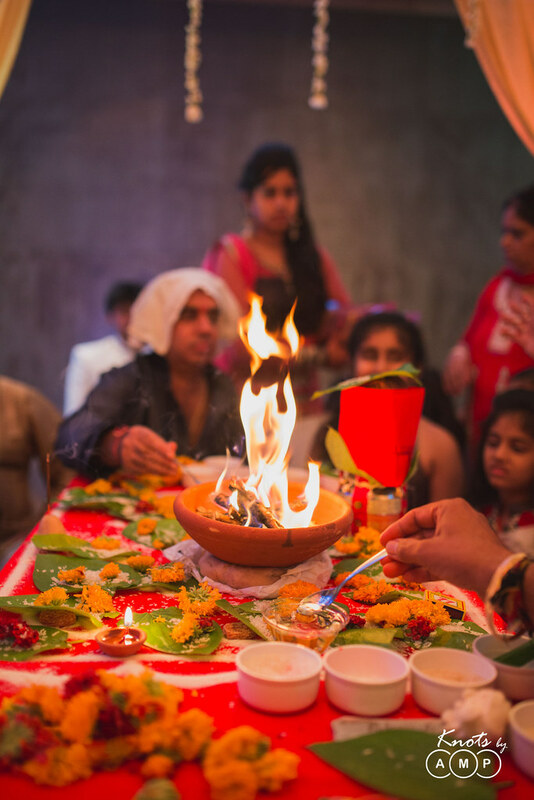 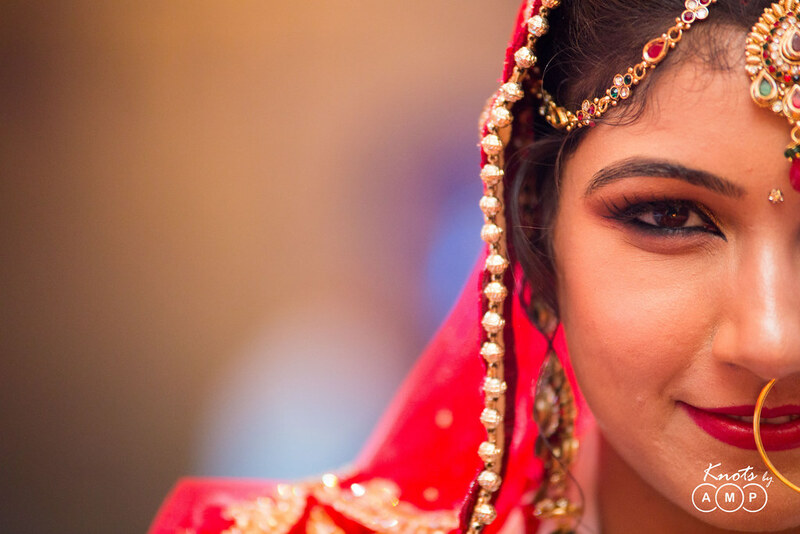 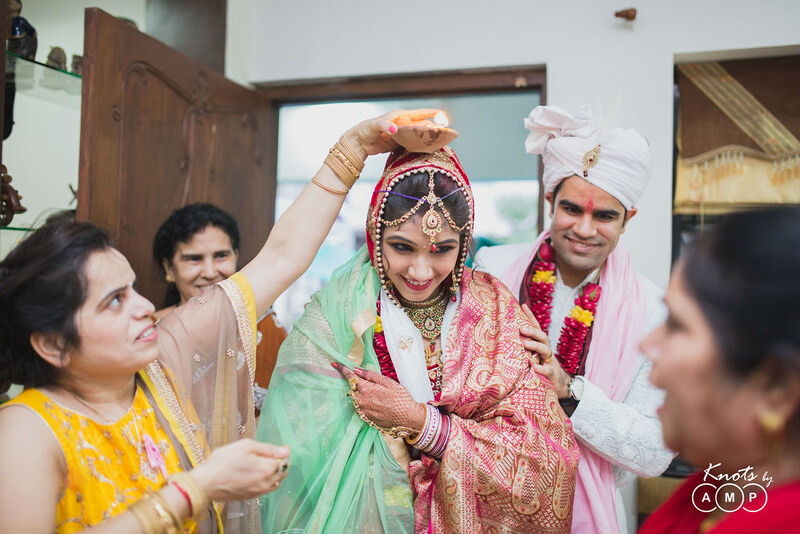 But, the wedding season really keeps us on our toes that we often miss out sharing some really great stuff due to new weddings coming on our way. Struggles of a Wedding Photographer! (Sighs) . 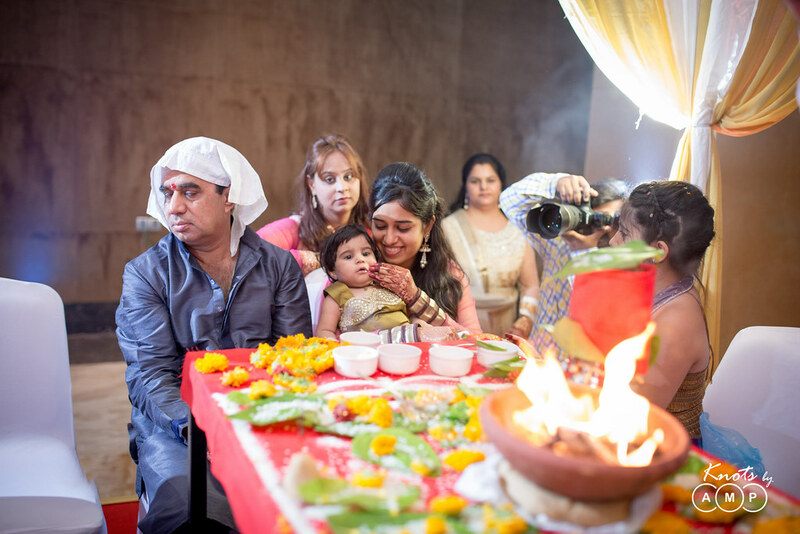 This one is about an year ago, when Vishesh and Priyanka got married at Sun and Sand hotel in Nagpur as per sindhi rituals. 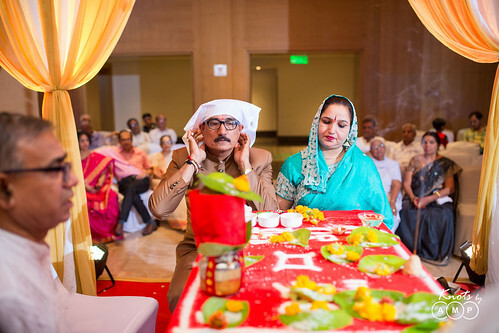 They celebrated their wedding anniversary a month ago. 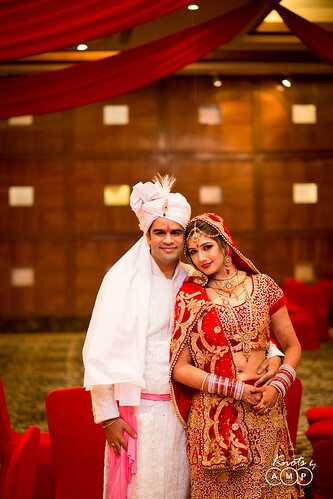 Priyanka, a CA hails from Indore while Vishesh is an IT engineer who works in U.S, belonging from Nagpur. 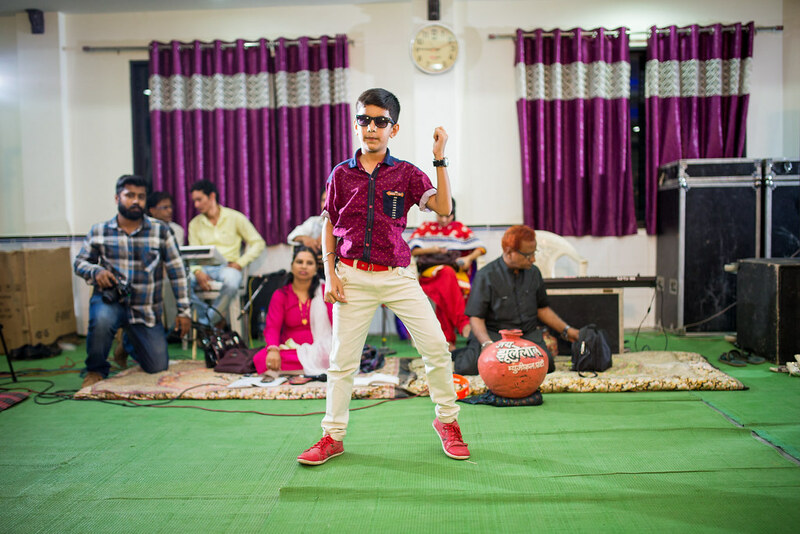 Thus, the destination Nagpur. 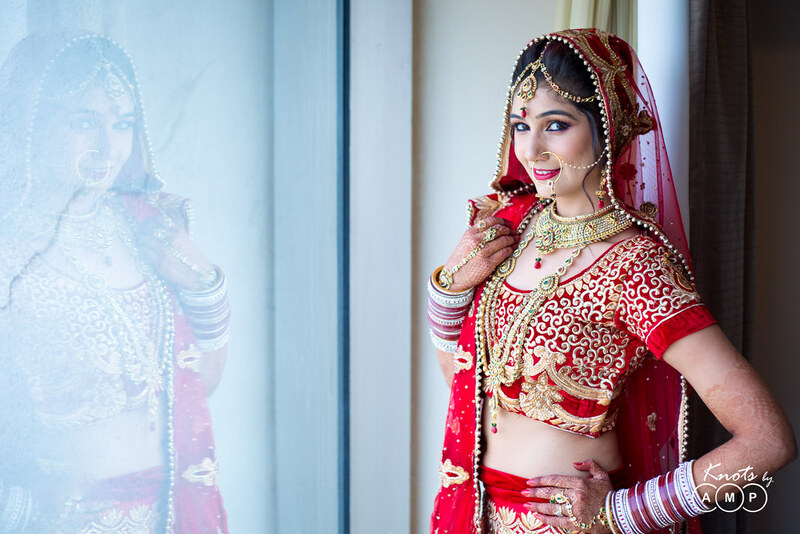 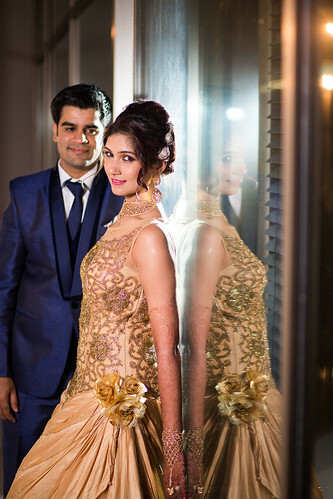 How the photographs do the major talking for the gorgeous bride and the good-looking groom on their wedding, you shall spectate here. 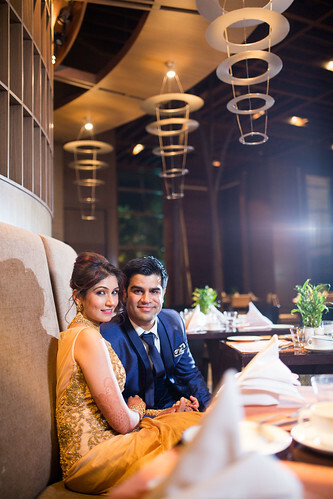 Priyanka and Vishesh had separate ladies “Sangeet” functions. 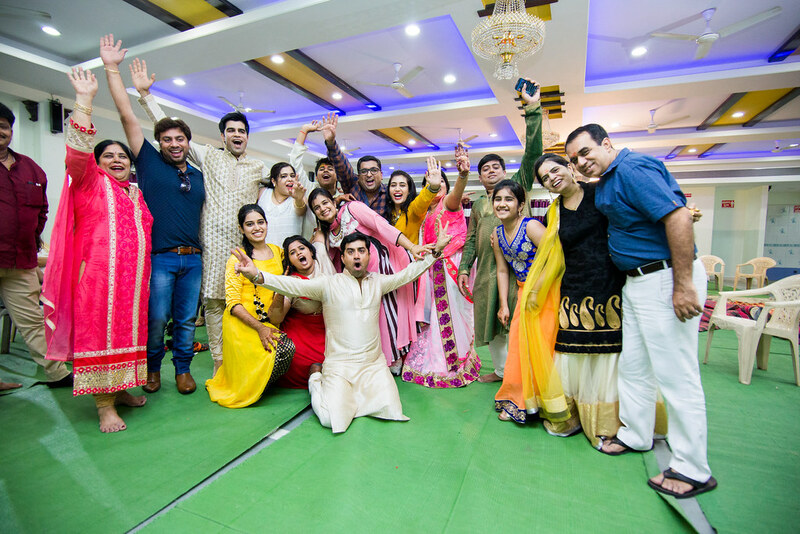 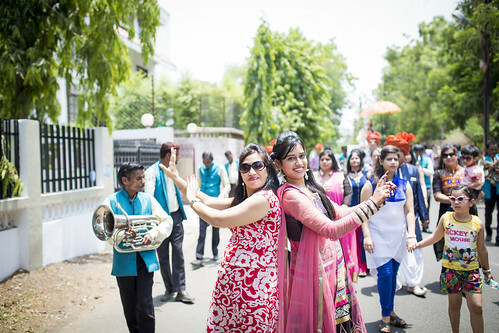 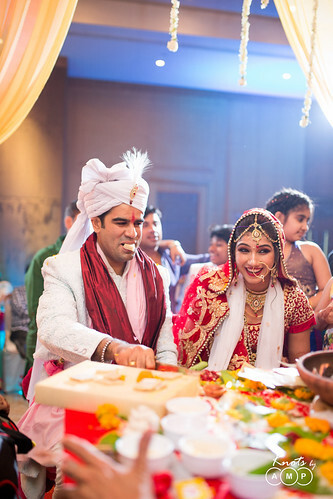 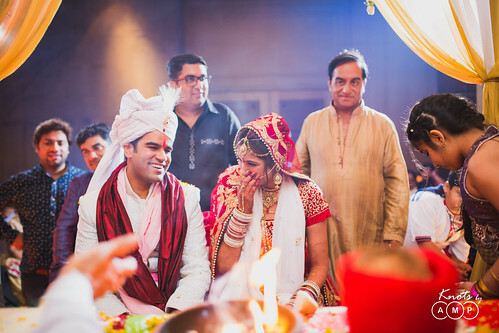 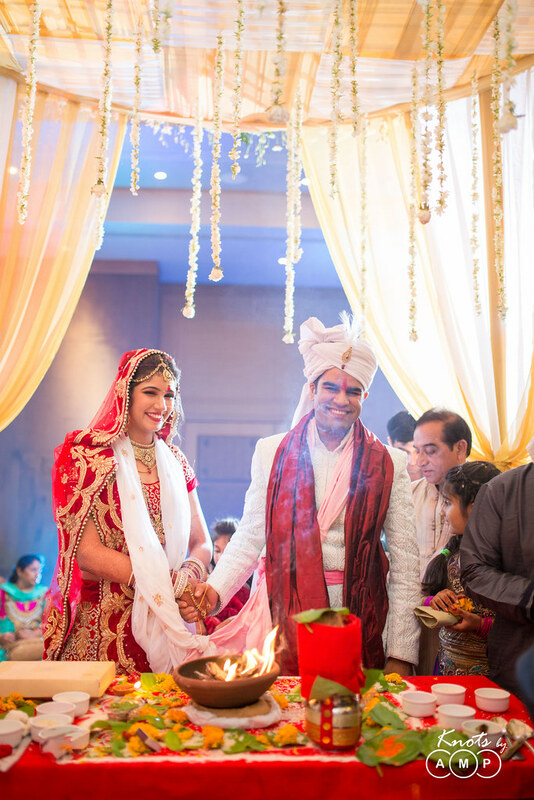 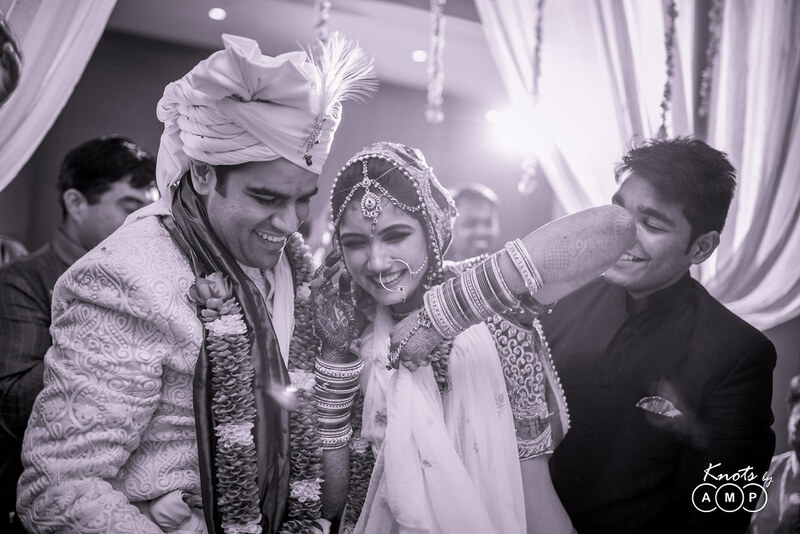 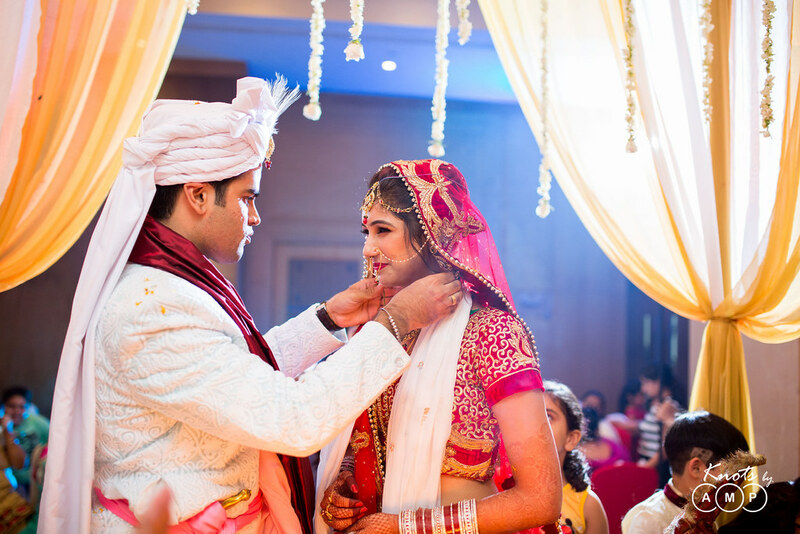 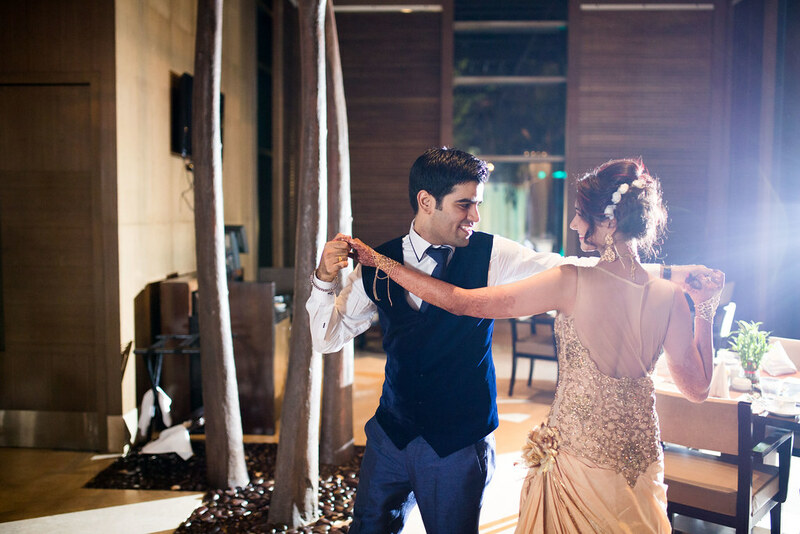 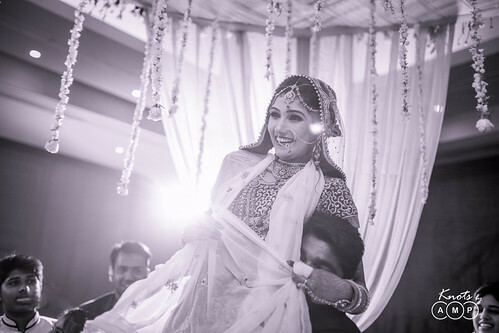 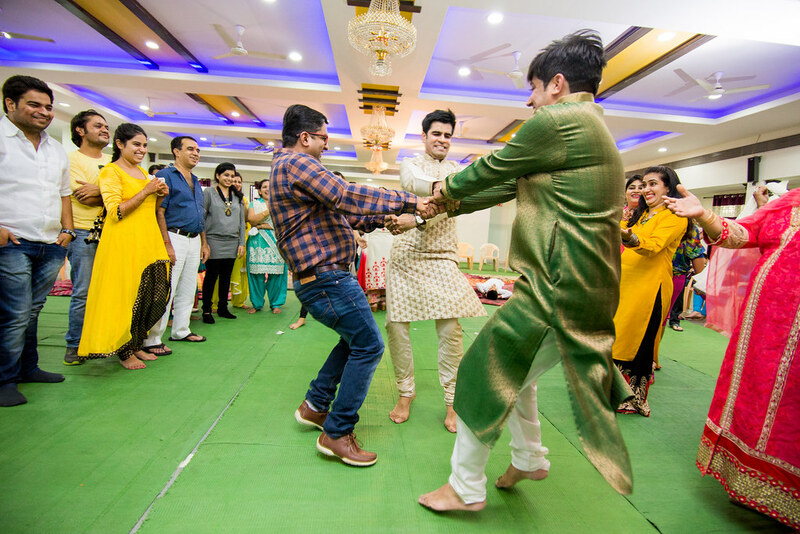 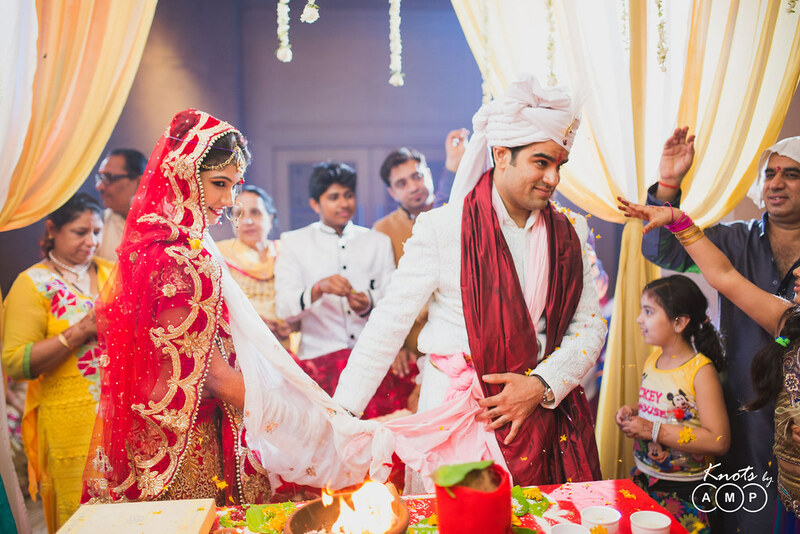 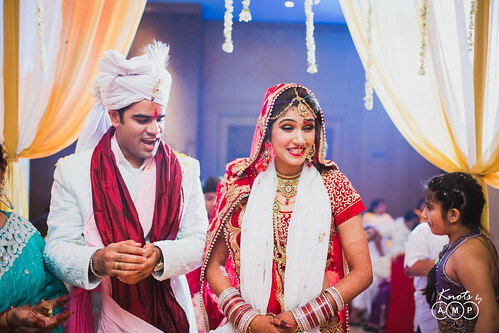 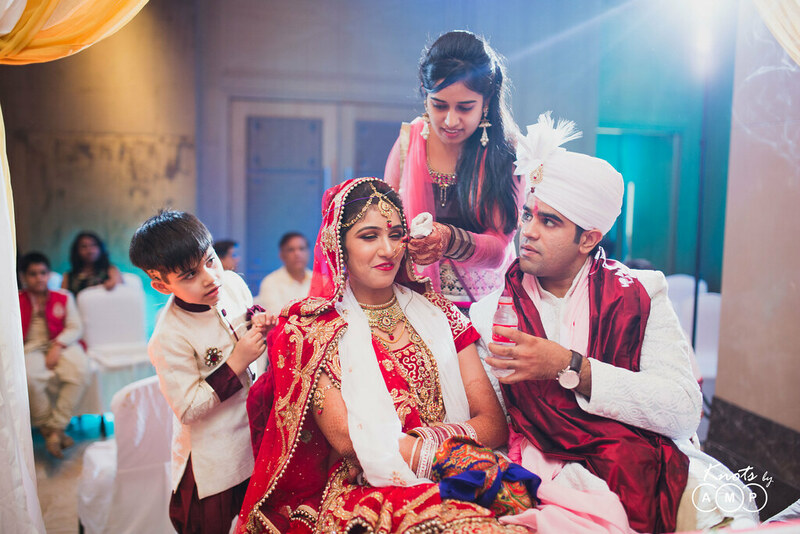 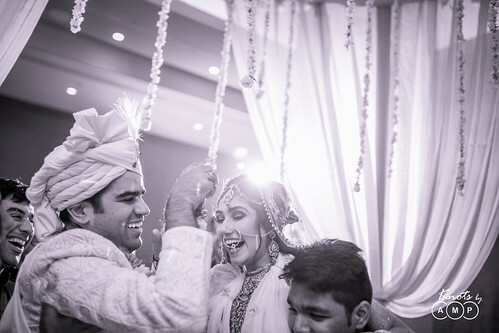 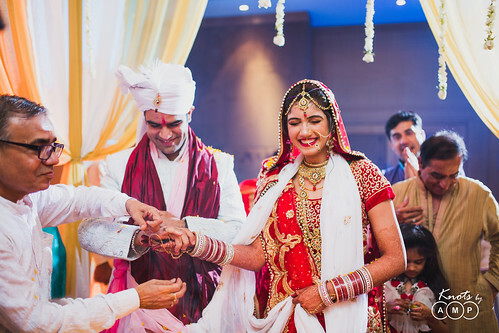 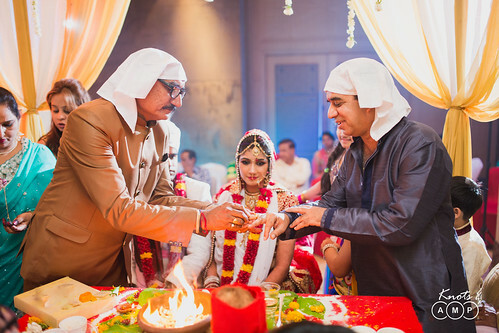 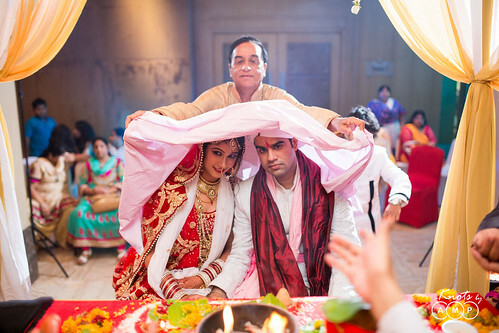 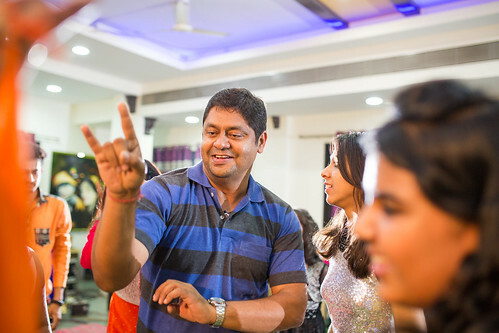 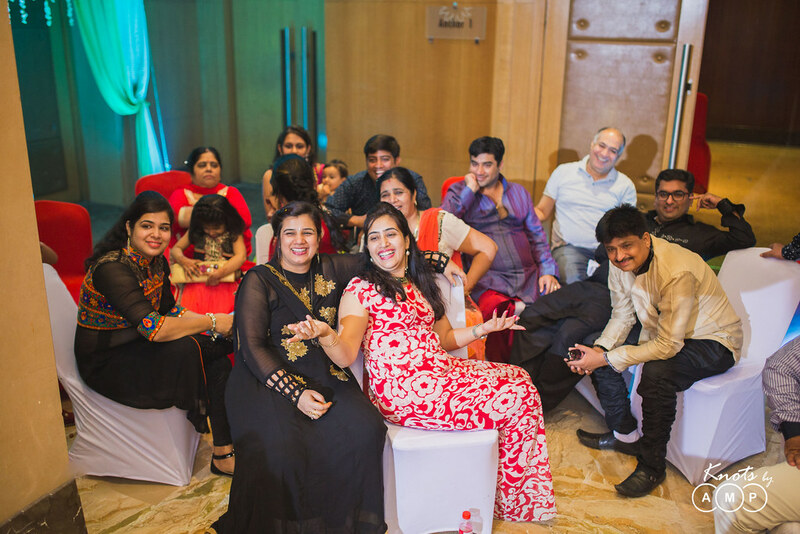 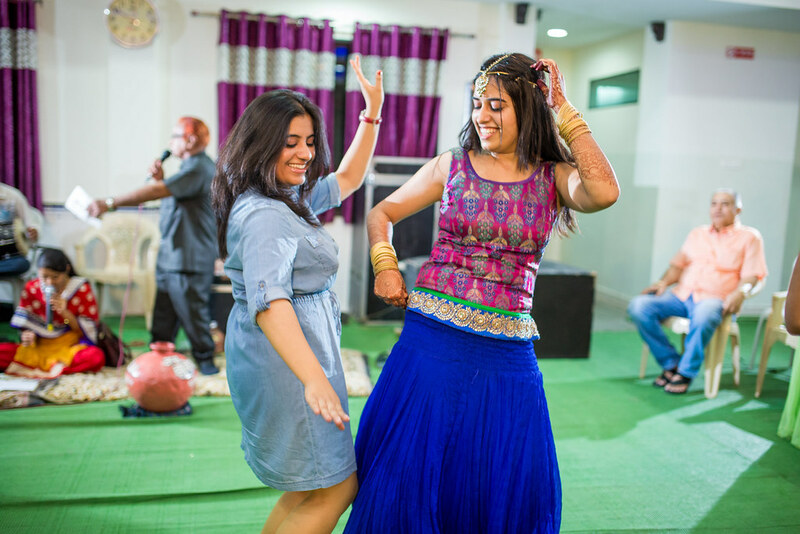 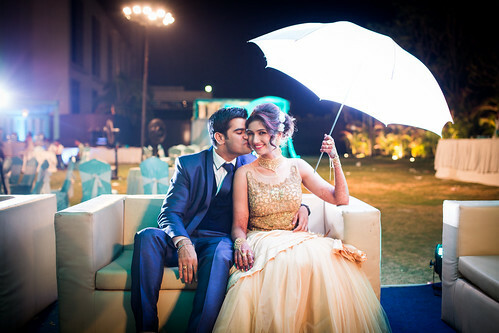 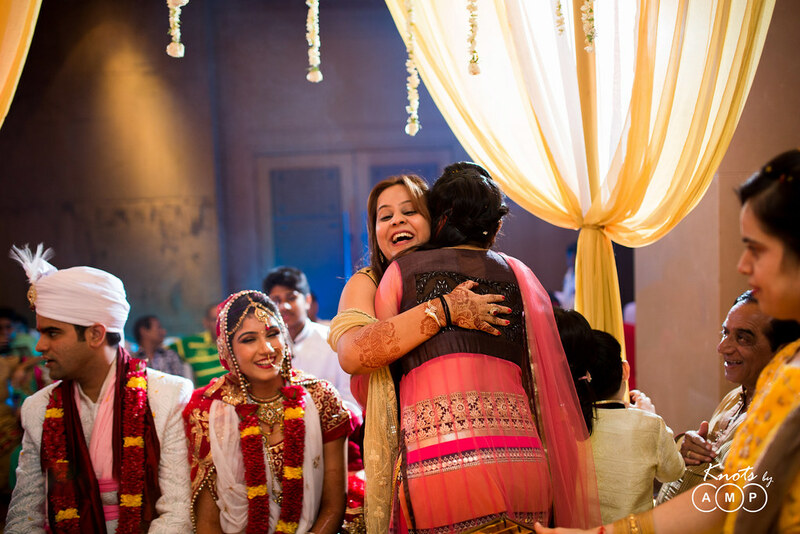 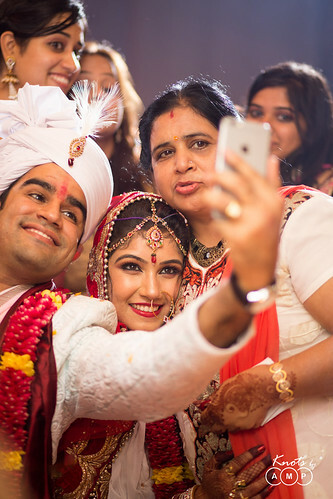 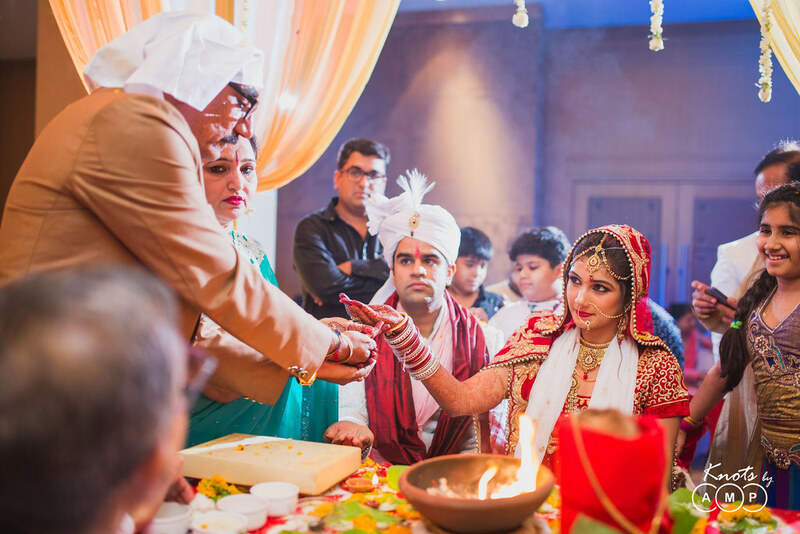 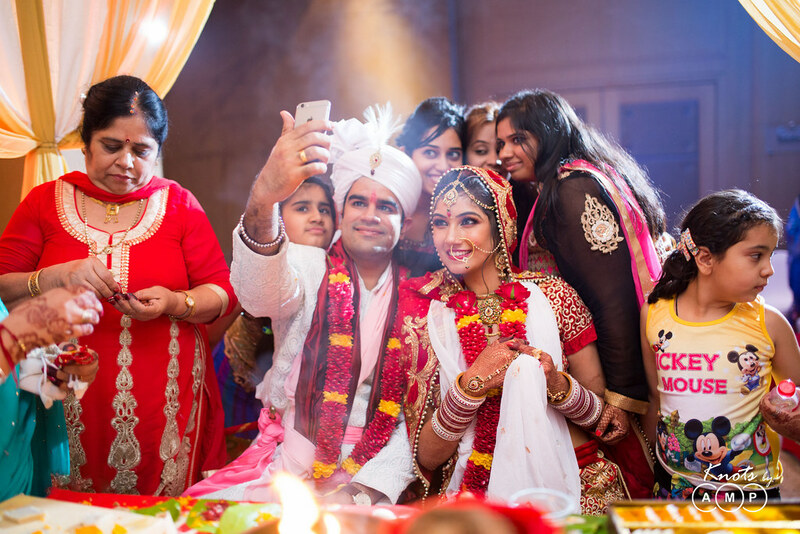 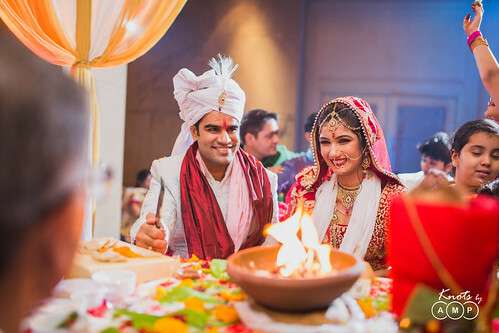 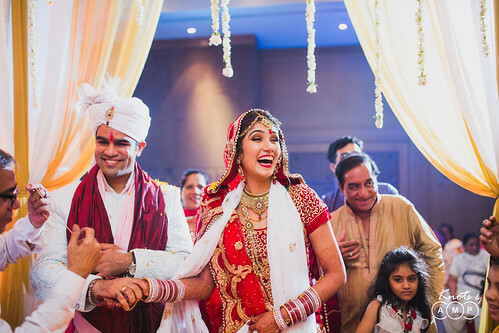 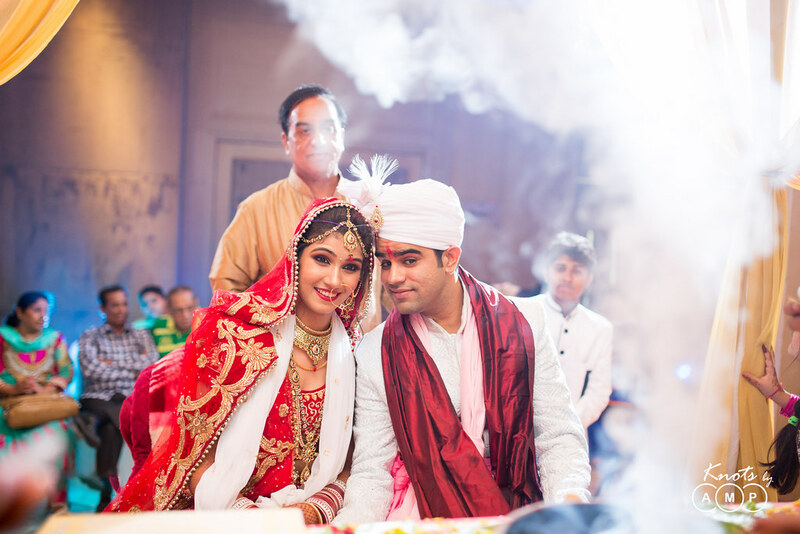 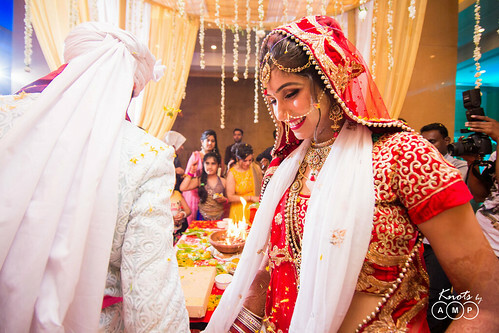 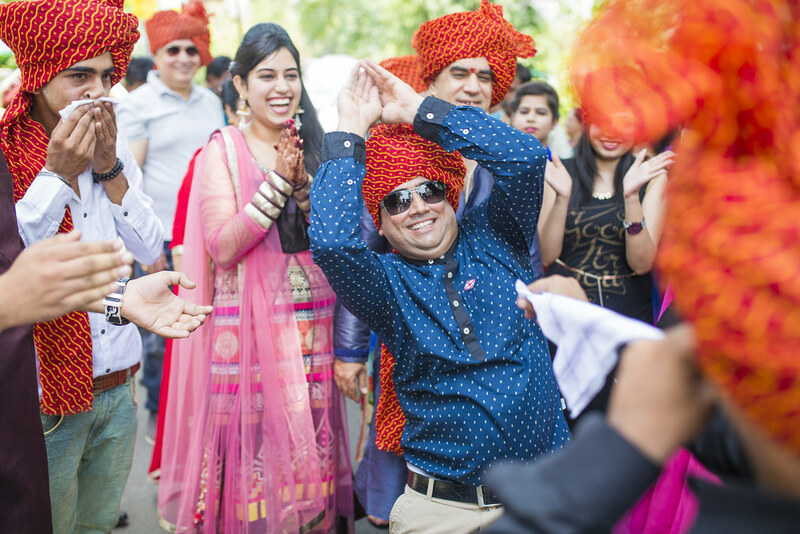 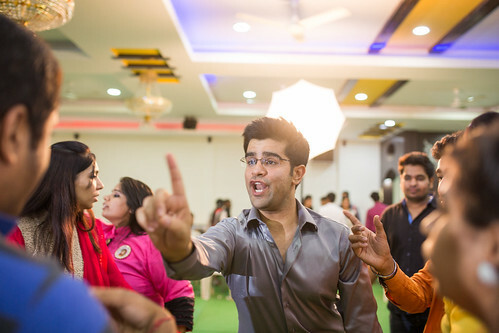 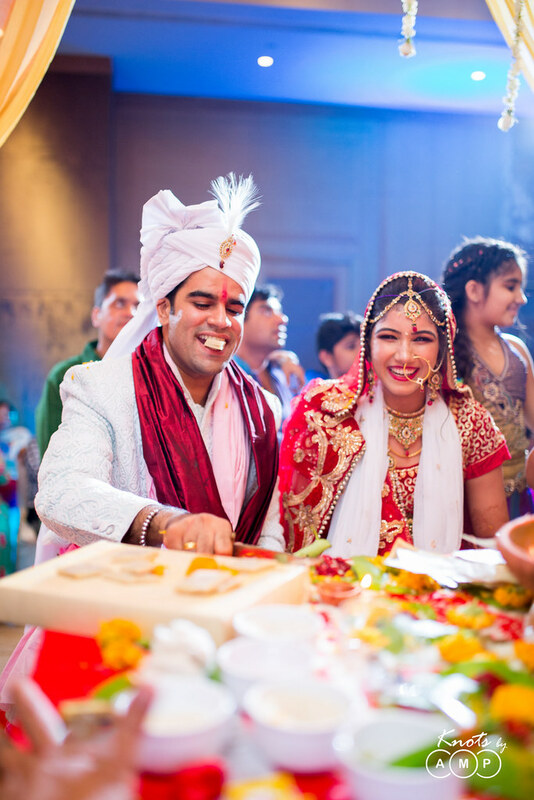 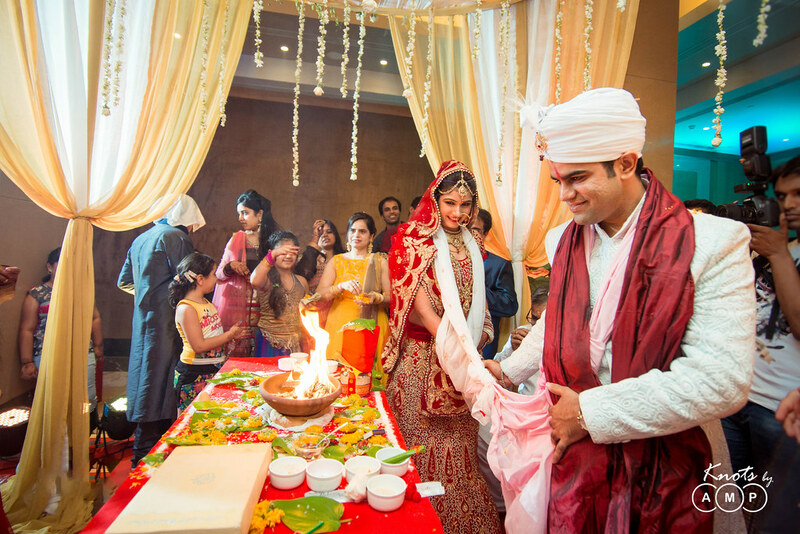 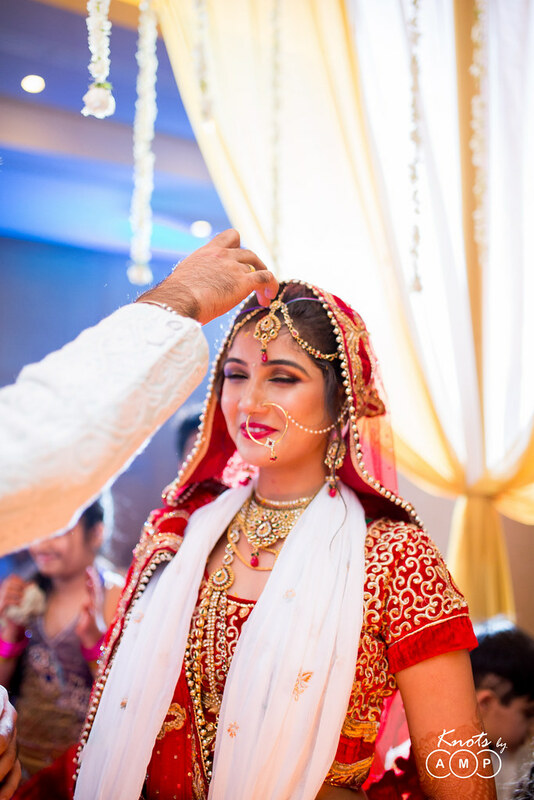 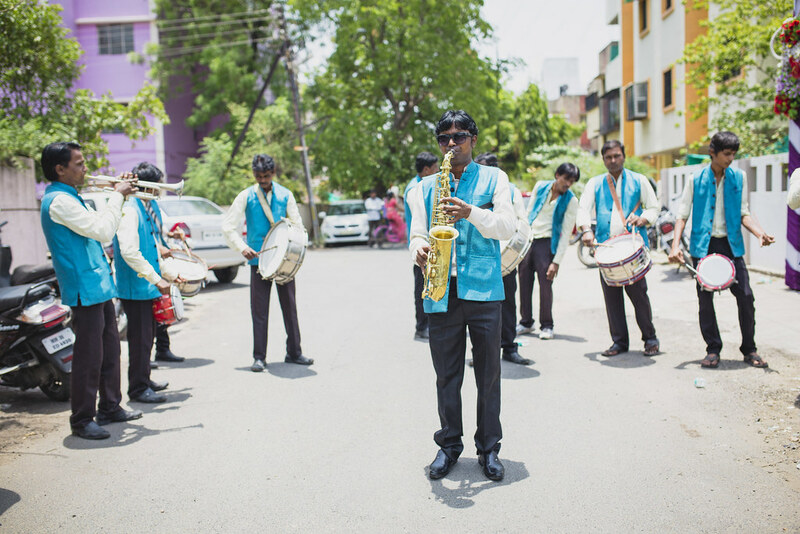 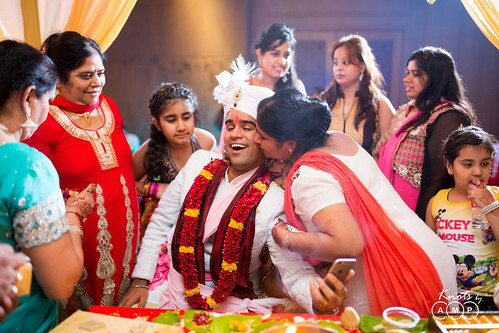 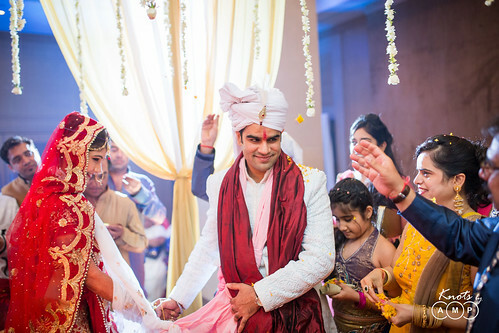 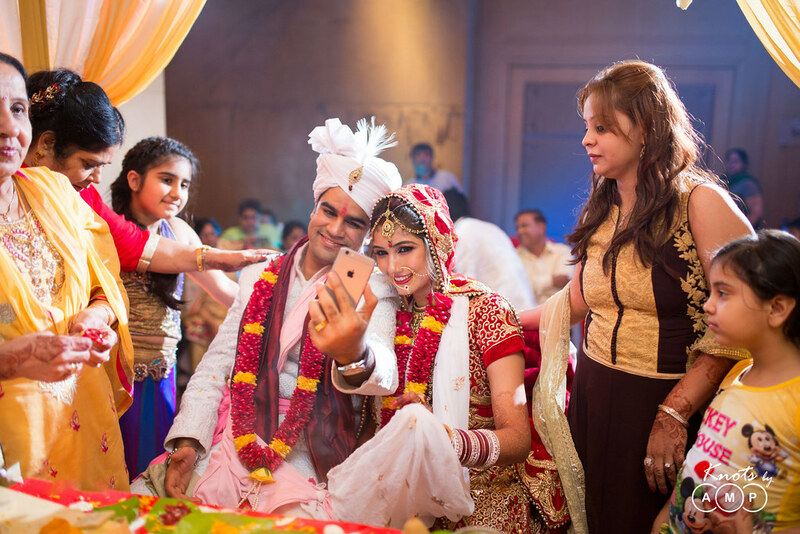 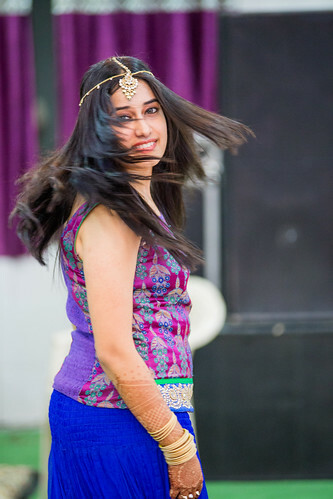 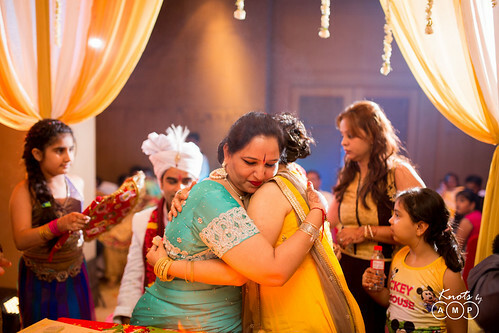 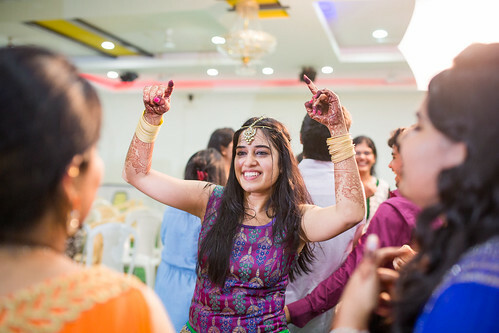 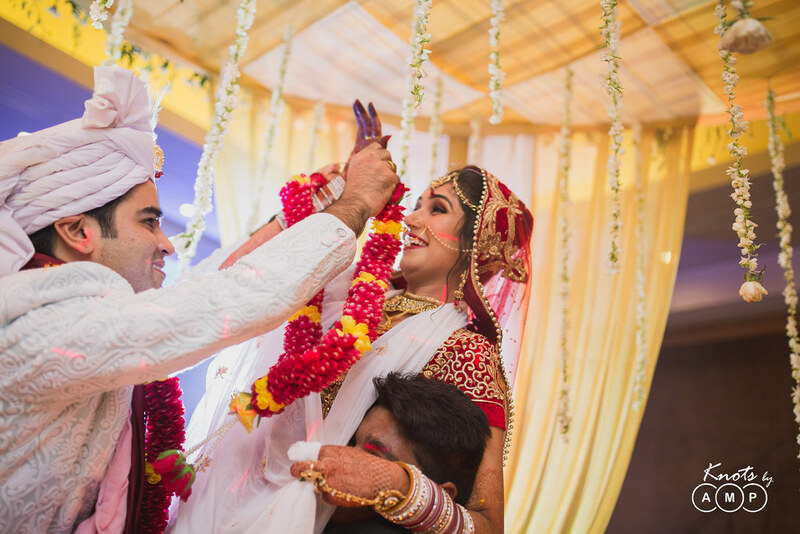 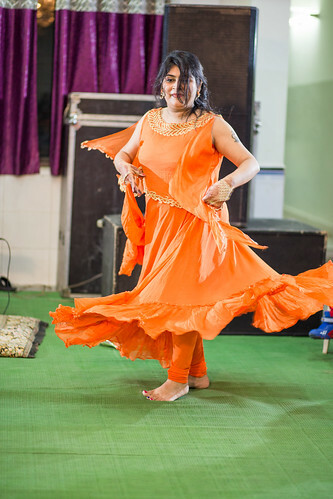 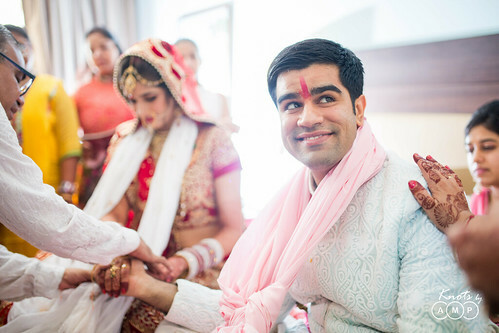 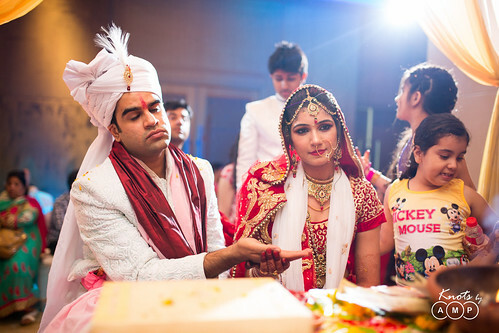 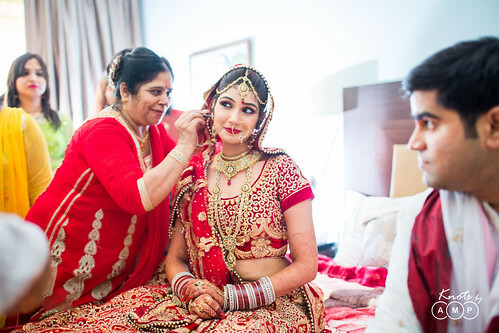 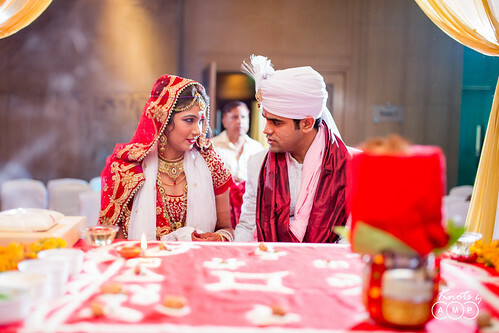 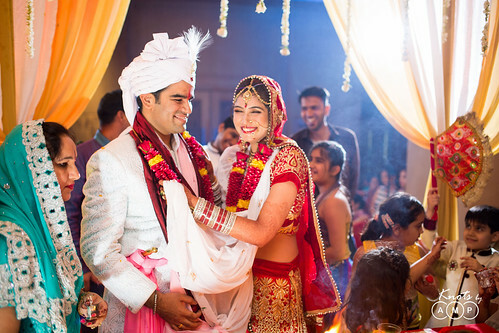 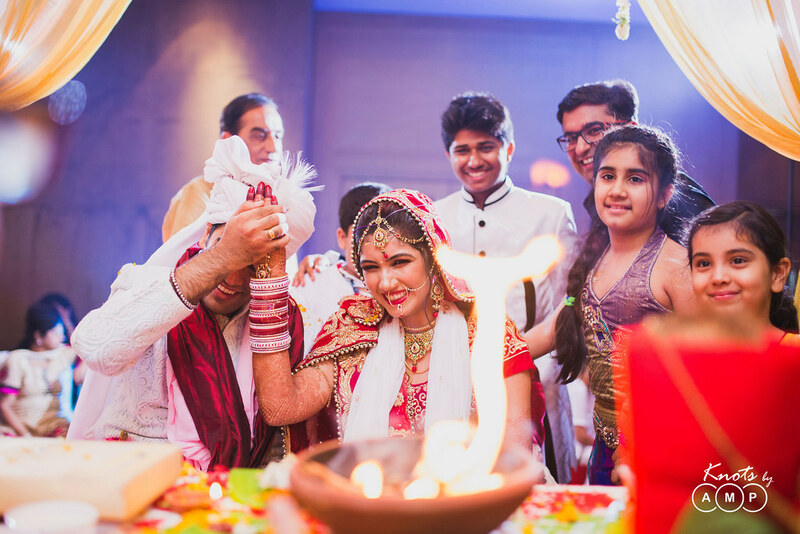 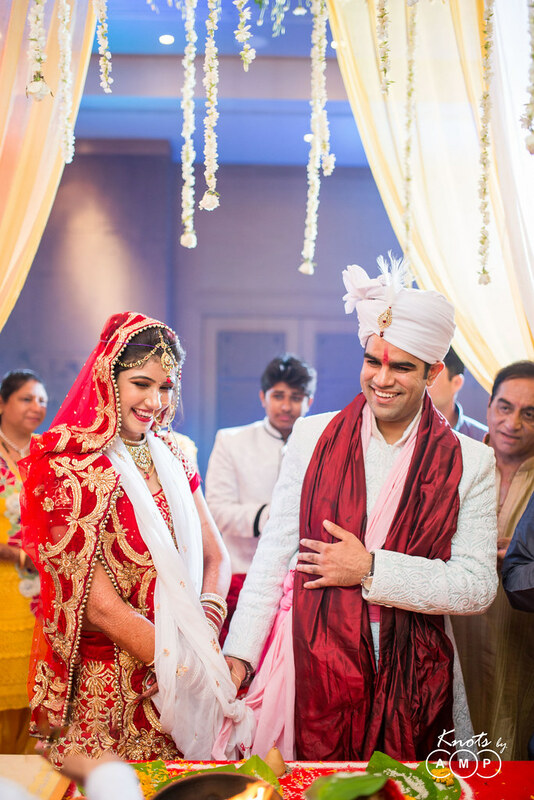 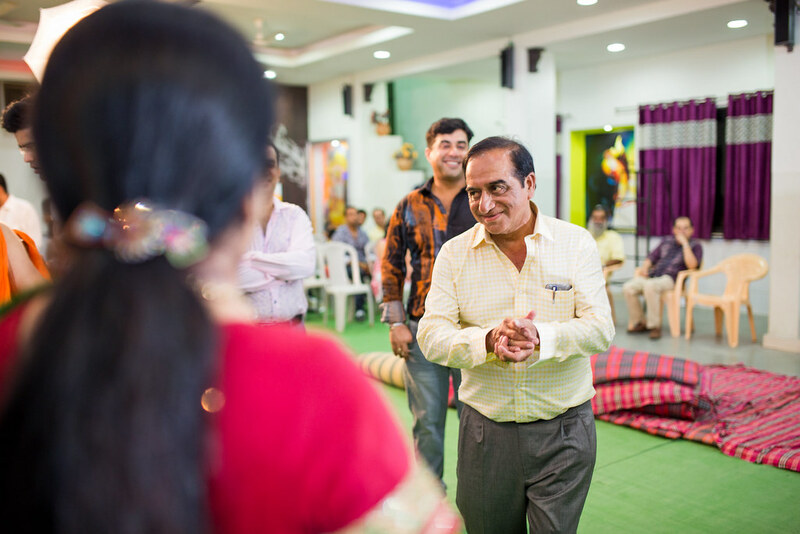 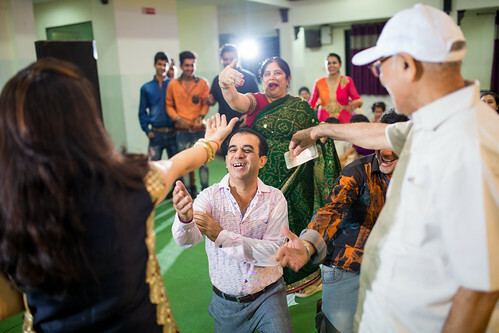 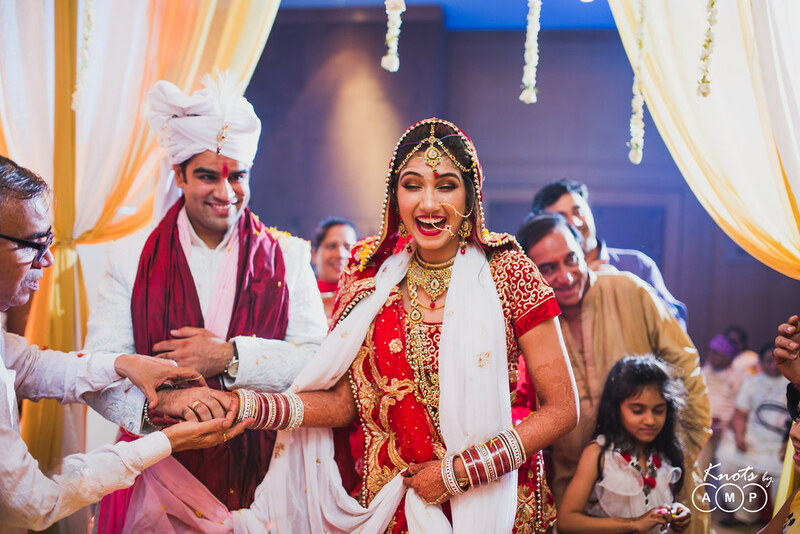 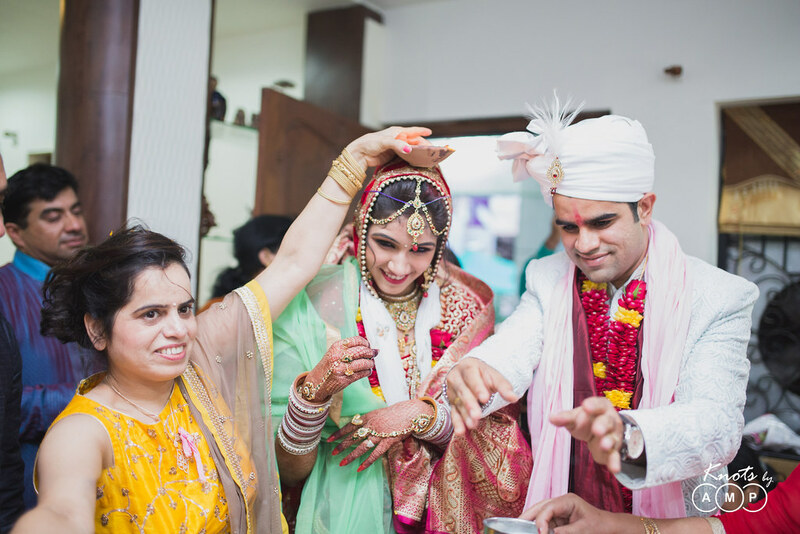 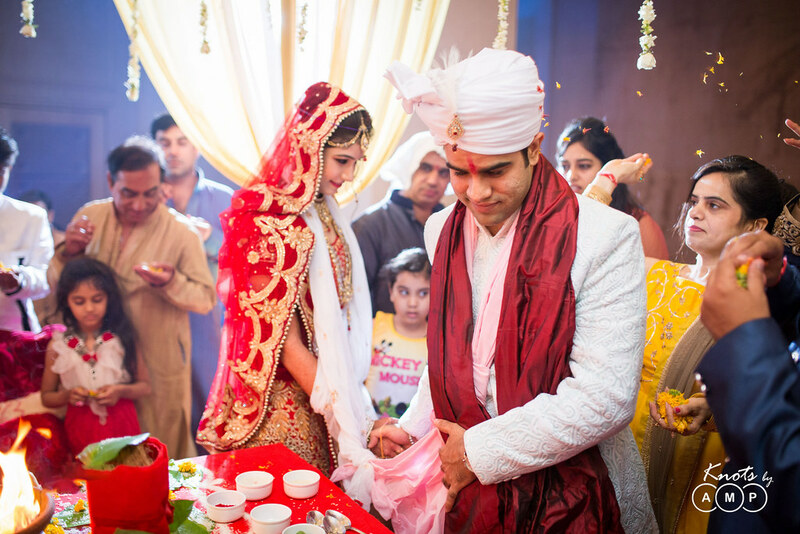 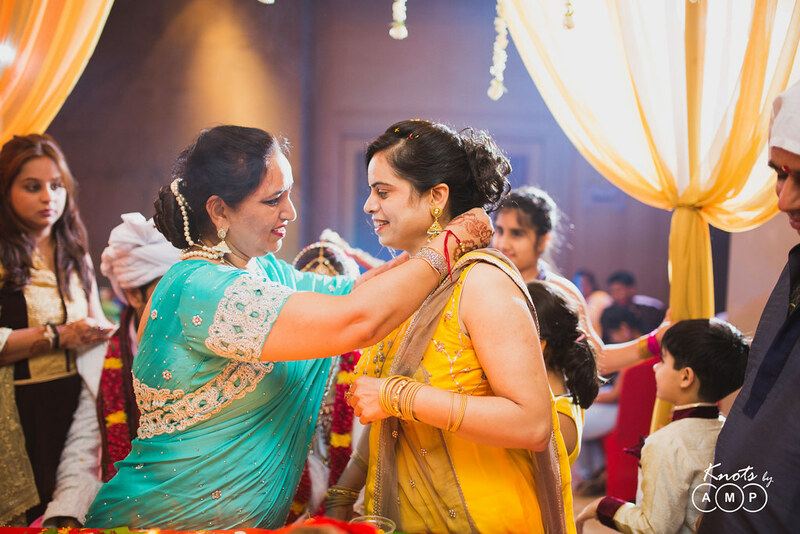 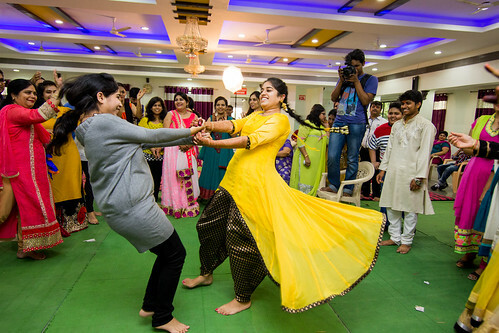 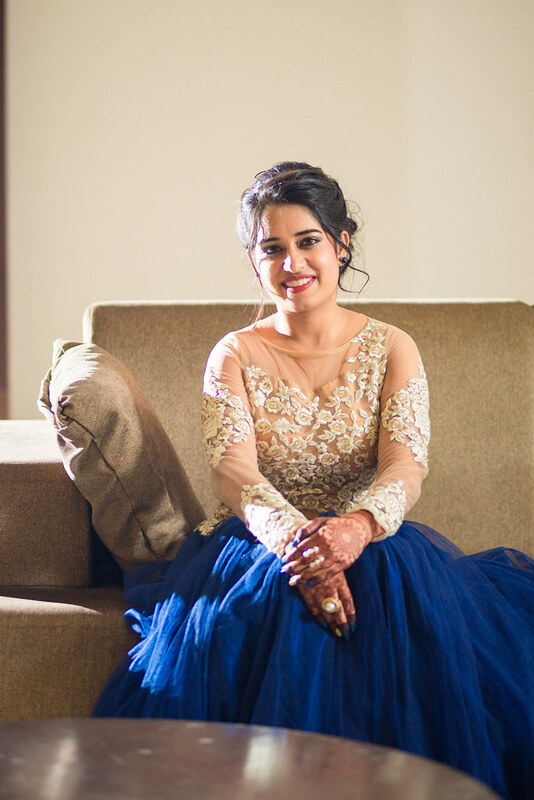 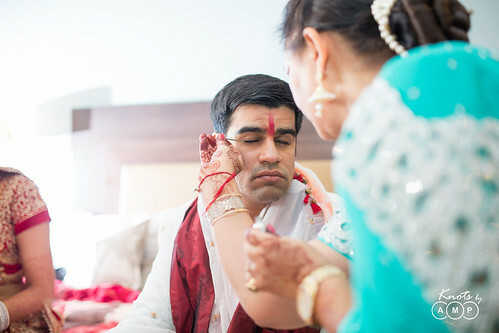 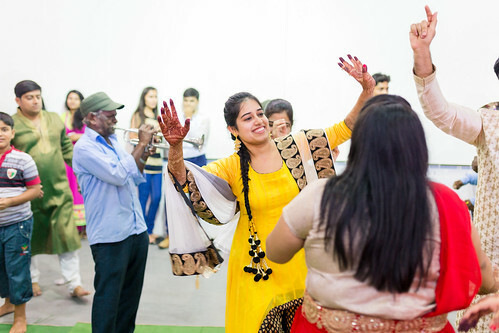 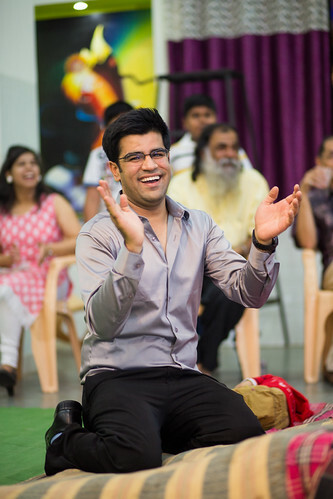 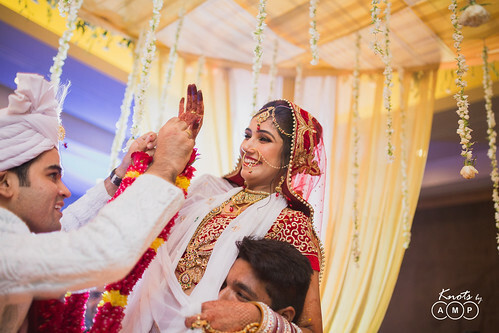 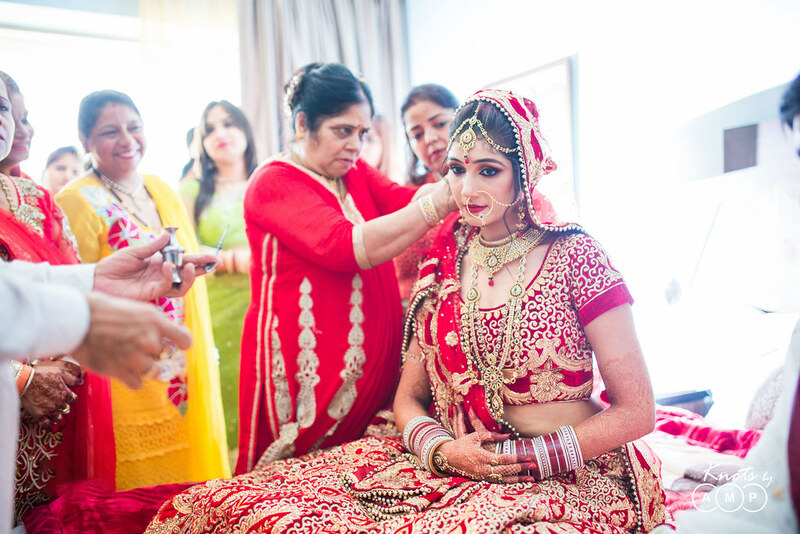 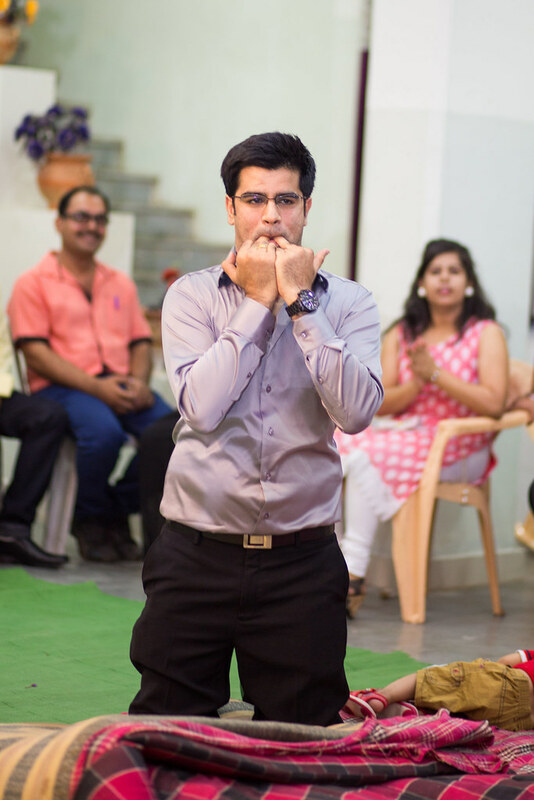 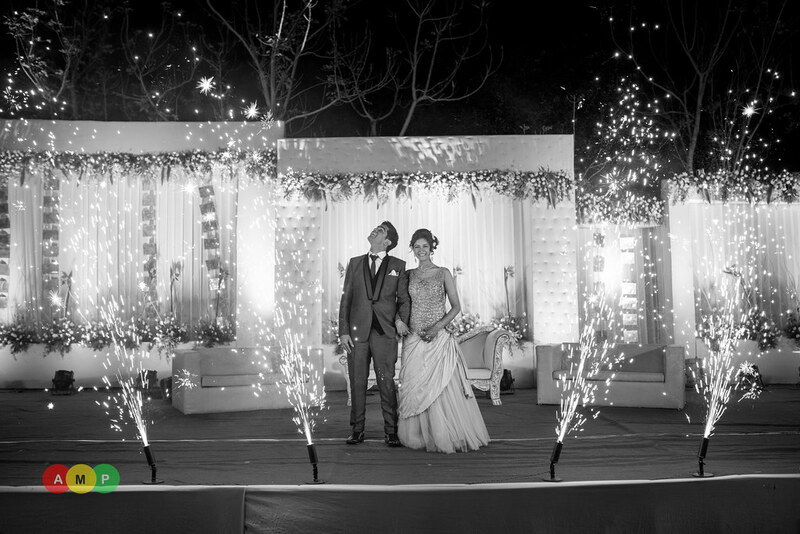 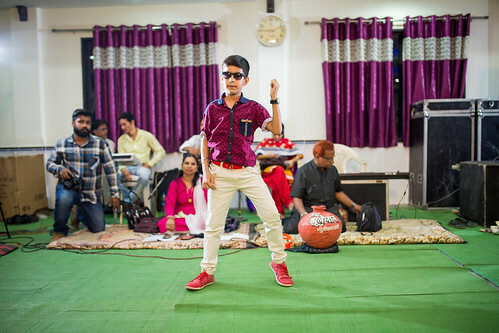 We covered the groom’s Sangeet function which was clubbed with his thread ceremony. 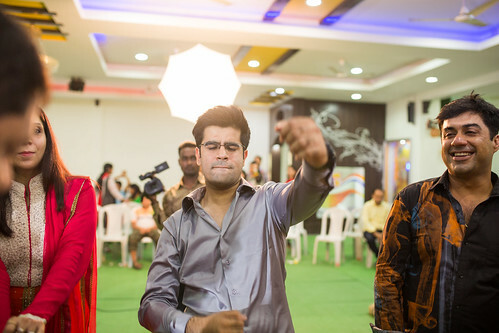 While everyone were having a blast, we were on our toes capturing all the action as real as it could get. That involved going frighteningly close to people dancing frantically. 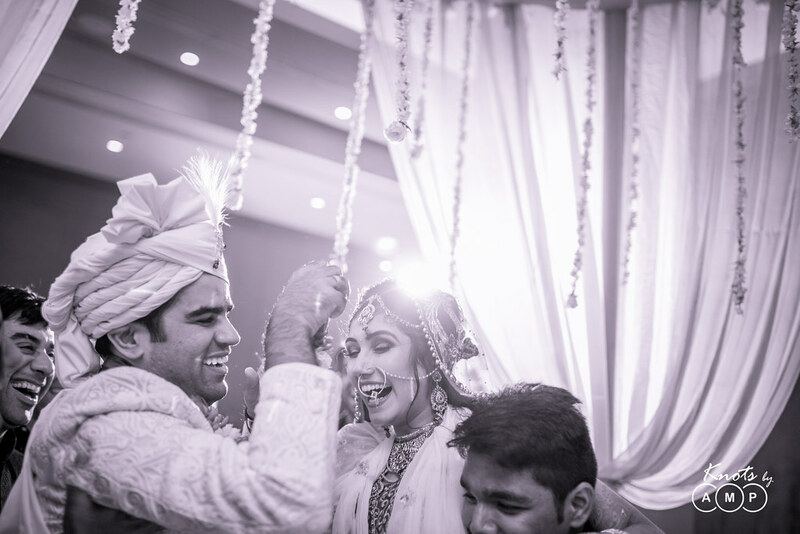 We love the unhindered candid action shots and to get them right we often had to push ourselves off the limits. 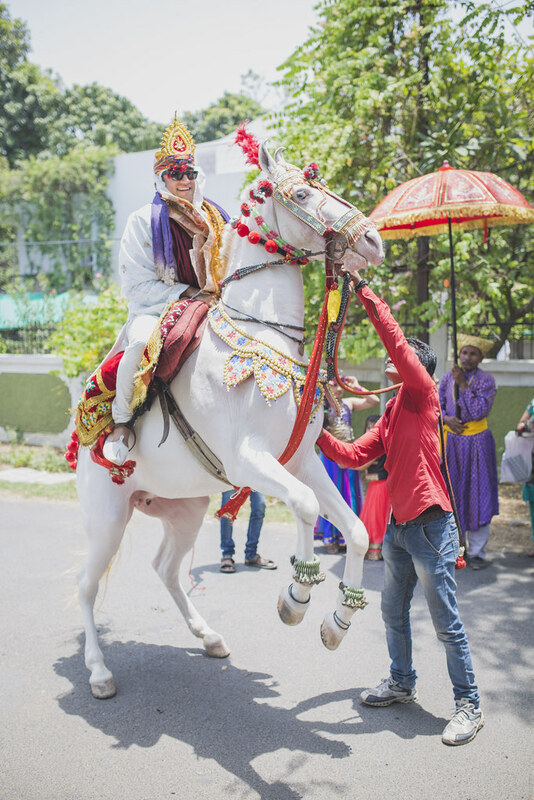 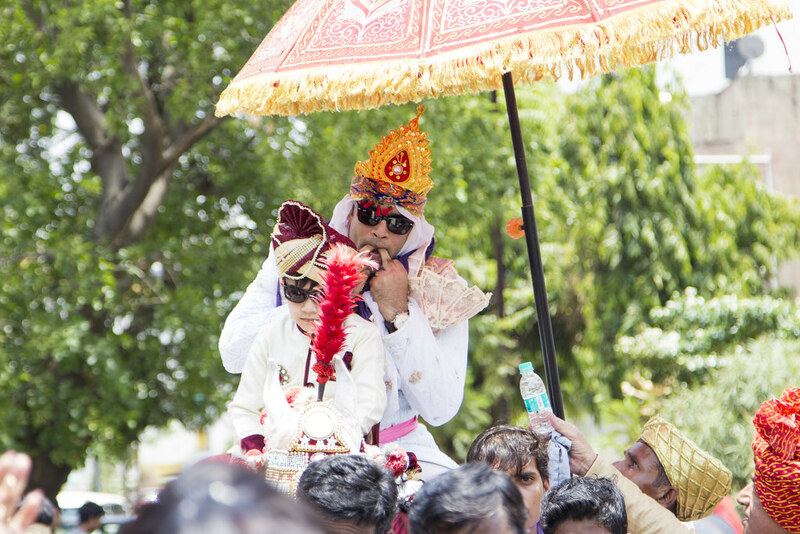 The next day the baraat started late afternoon in the blazing heat of May in Nagpur and it was excruciatingly hot! 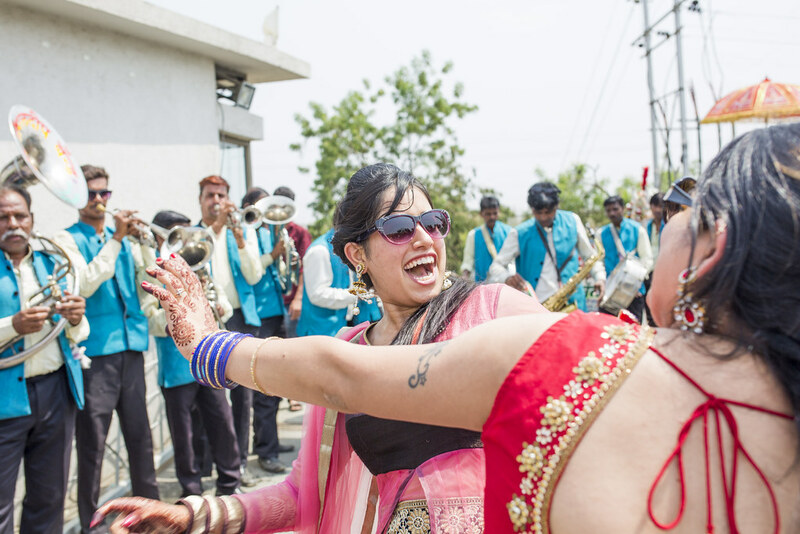 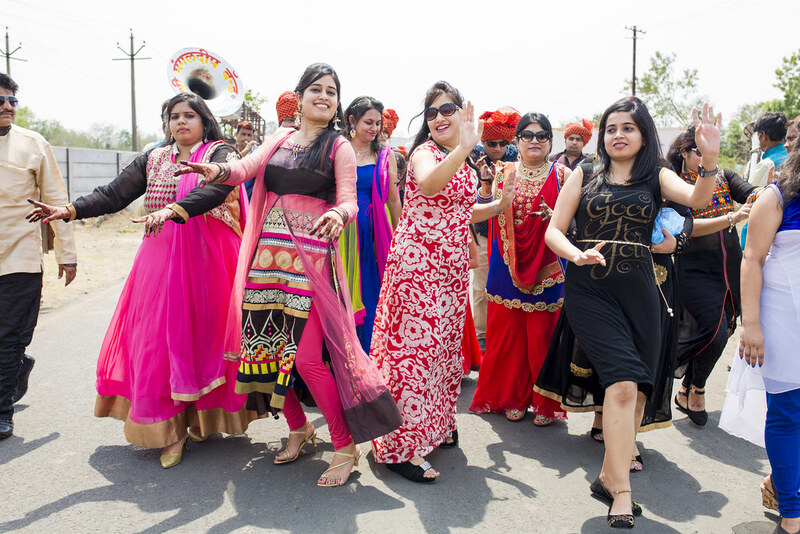 We were really surprised with the enthusiasm with which everyone danced in the blazing sun. 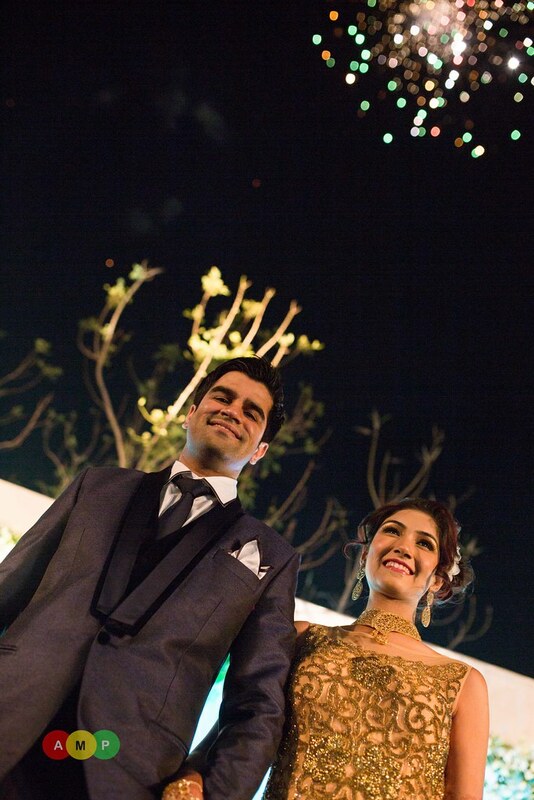 Photographs don’t come out well when the sun is high in the sky, it casts ugly dark shadows on the faces. 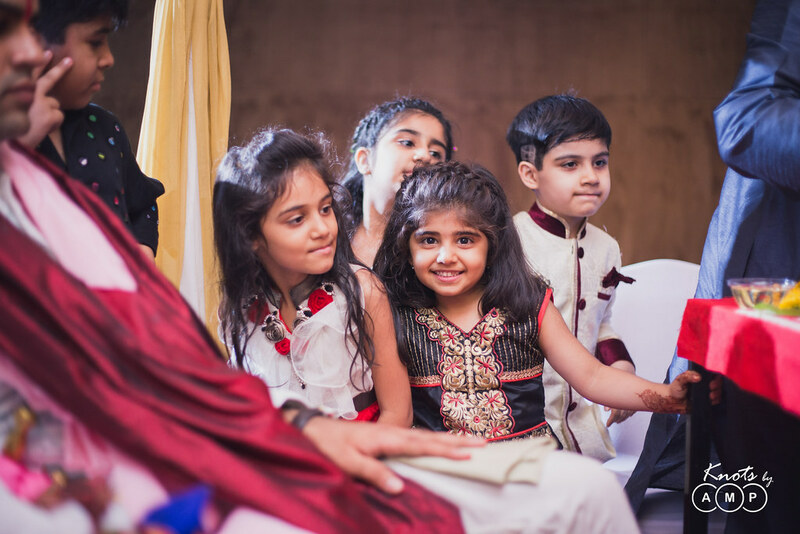 So we waited for the baraat to pass through the shade of a tree and then sprung to action. 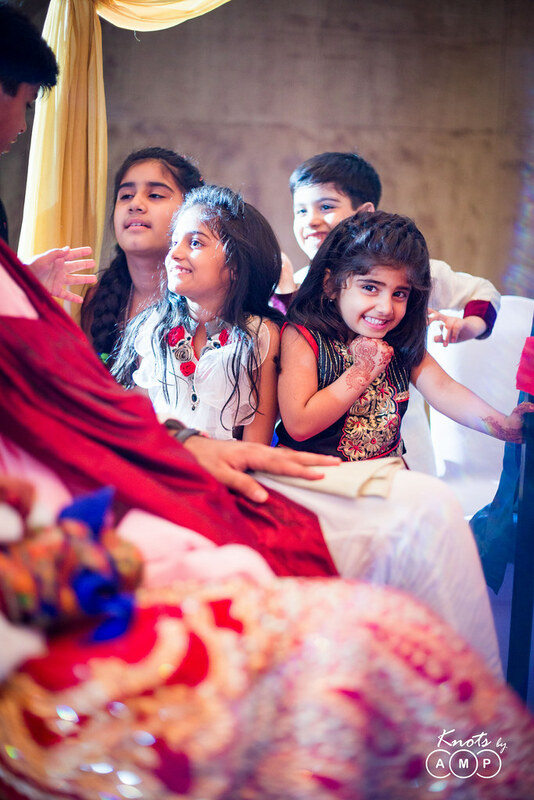 It is important to see how the light is falling on the subjects. 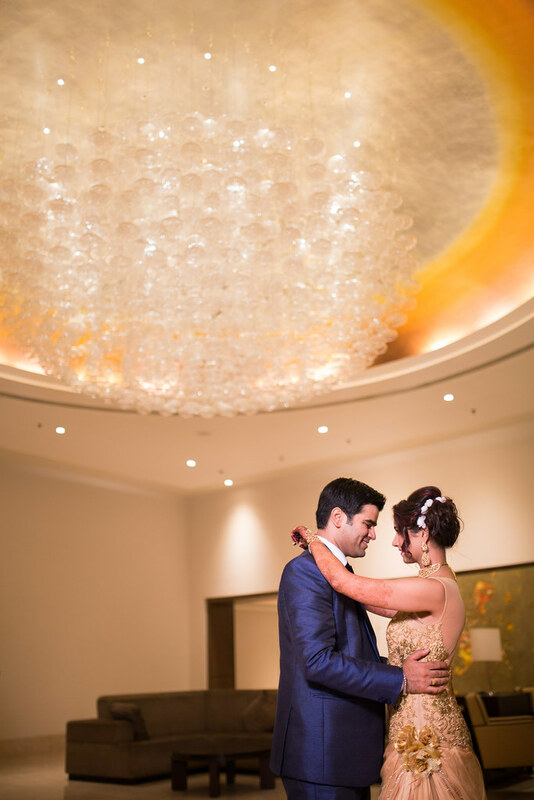 Sometimes even during the bright sunny day because of light reflecting from a nearby light colored wall or glass buildings, the light can come at just the right angle. 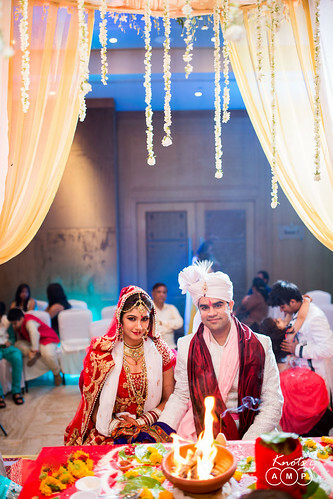 It is also a good idea to use a flash along with a ND filter. 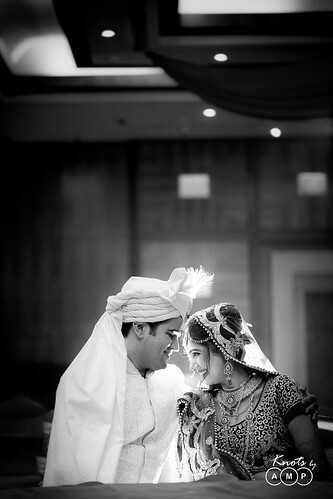 Okay, enough of technalities now, Right (blushes)! 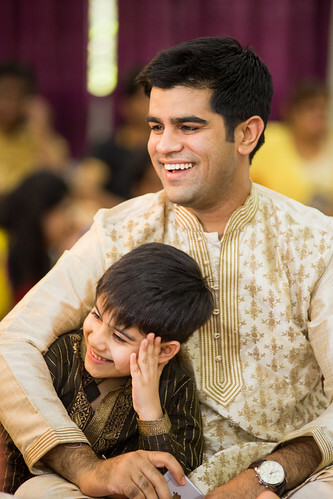 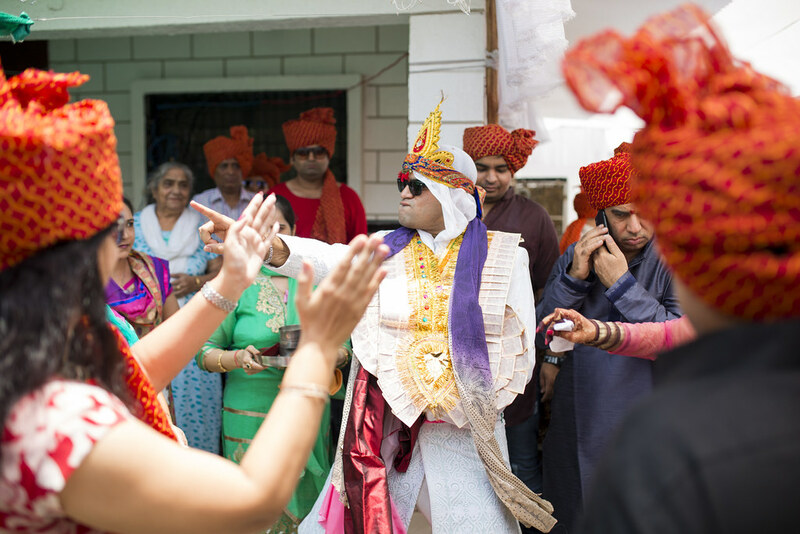 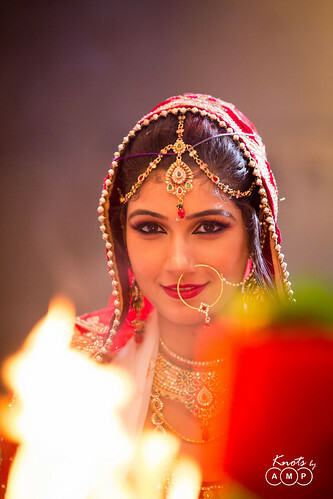 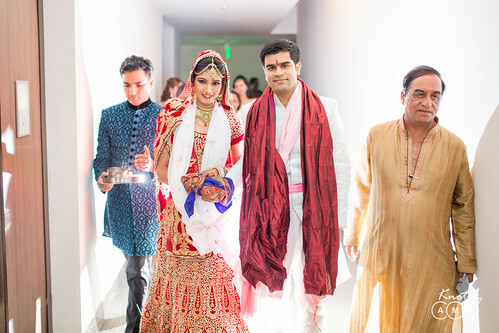 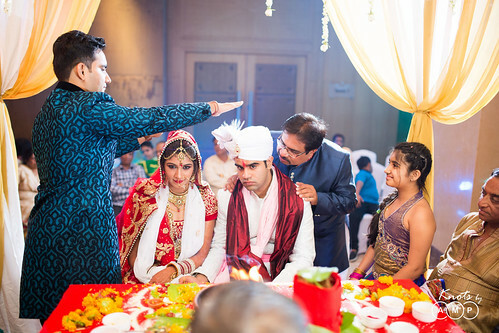 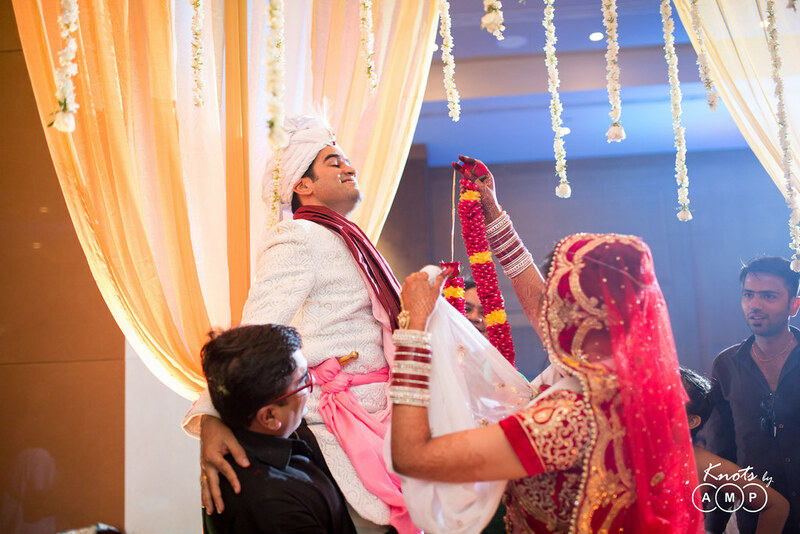 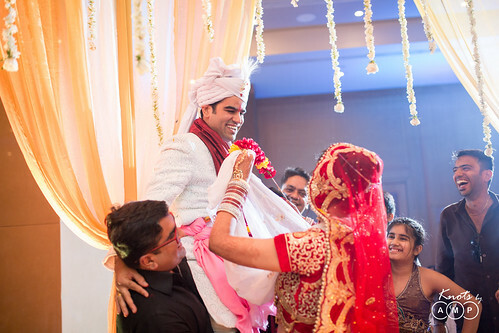 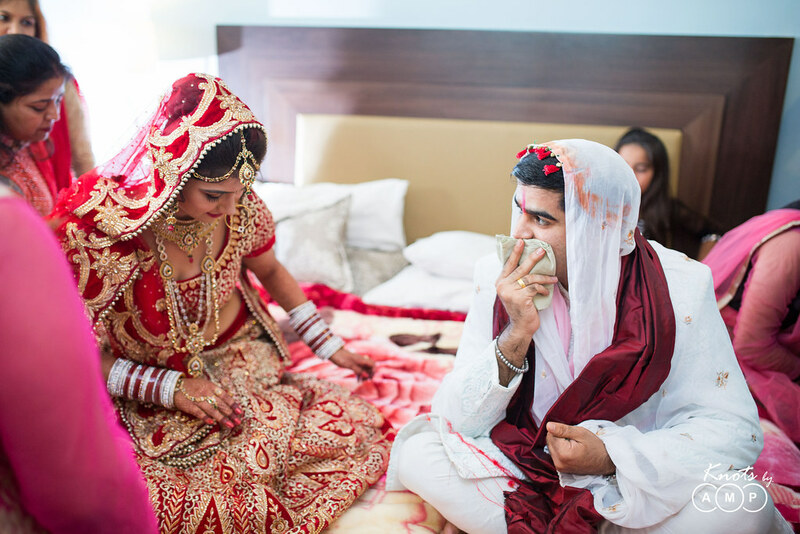 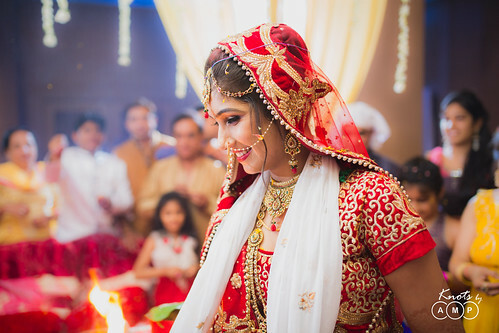 After the baraat was welcomed the groom headed for bride’s room where a small ceremony was performed. 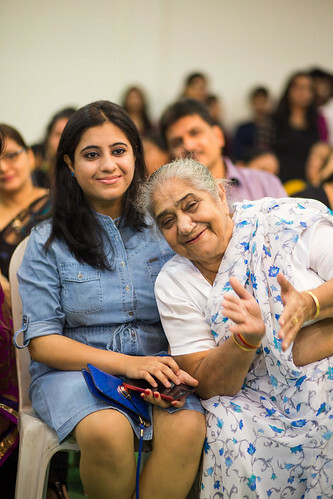 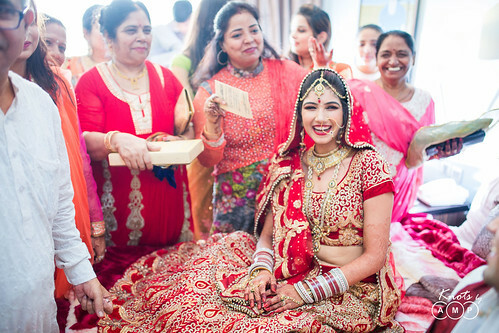 The room was filled with laughter with women cracking and teasing the couple throughout the ceremony. 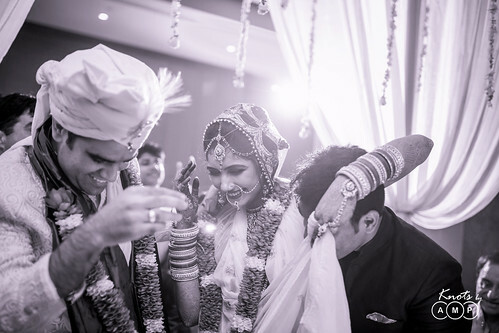 Thereafter they proceeded together to Mandap and we will surrender you to the photographs of the day to narrate the rest of wedding. 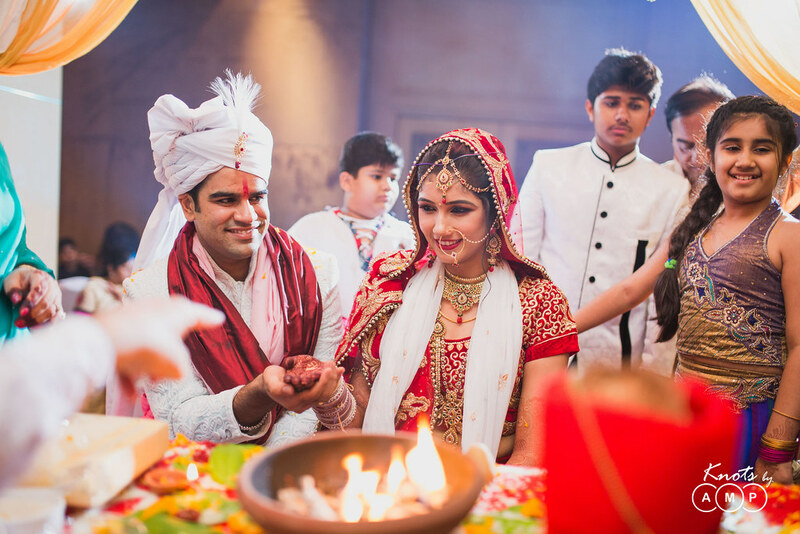 Priyanka looked like a beautiful “Red-dream” in her stunning Red Lehenga, matching it with golden jewellery whereas Vishesh looked suave in his White Sherwani. After the wedding, there was a reception ceremony where the bride and groom made a fashionably late entry, hand in hand. 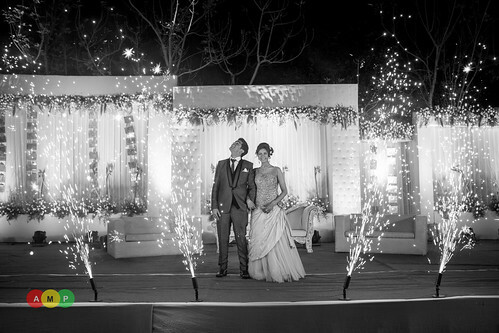 And as soon as they got on stage the sky burst into fireworks and the stage was lit with pyro-works. 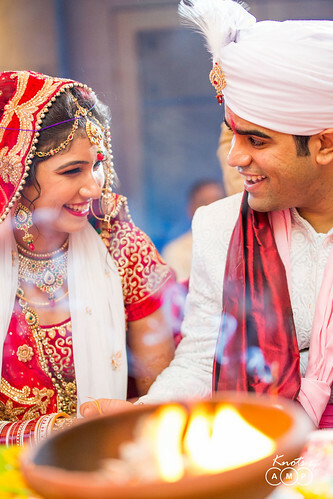 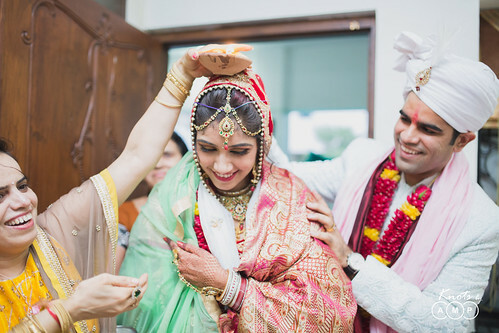 By the way, it was really hard to believe that this stunning couple had an arranged marriage, because their chemistry reveals that they know each other since ages altogether. 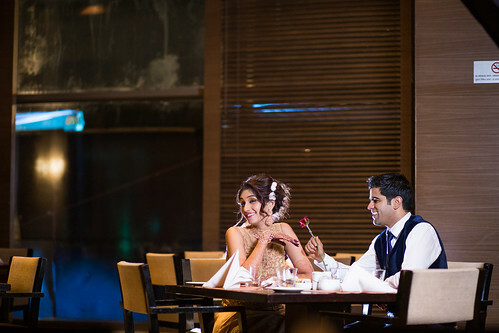 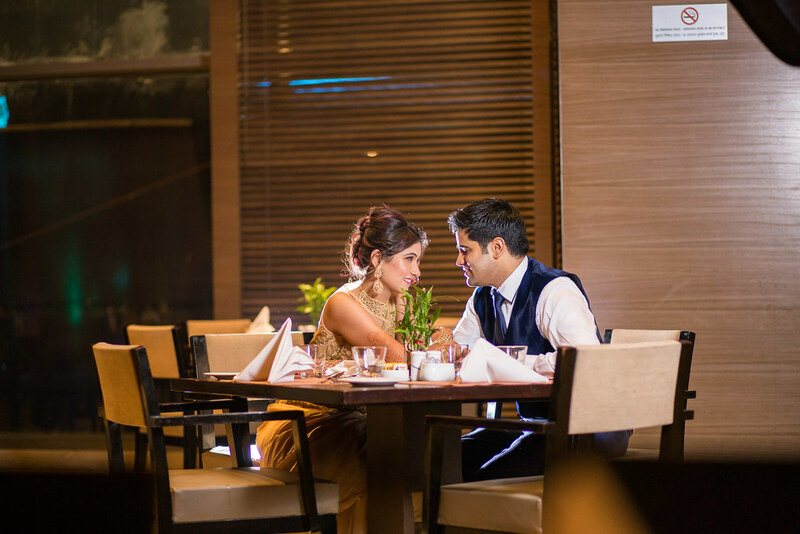 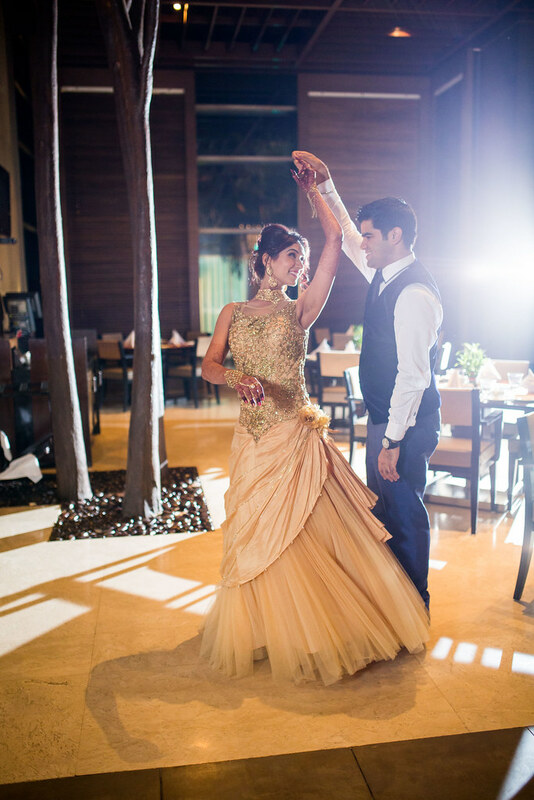 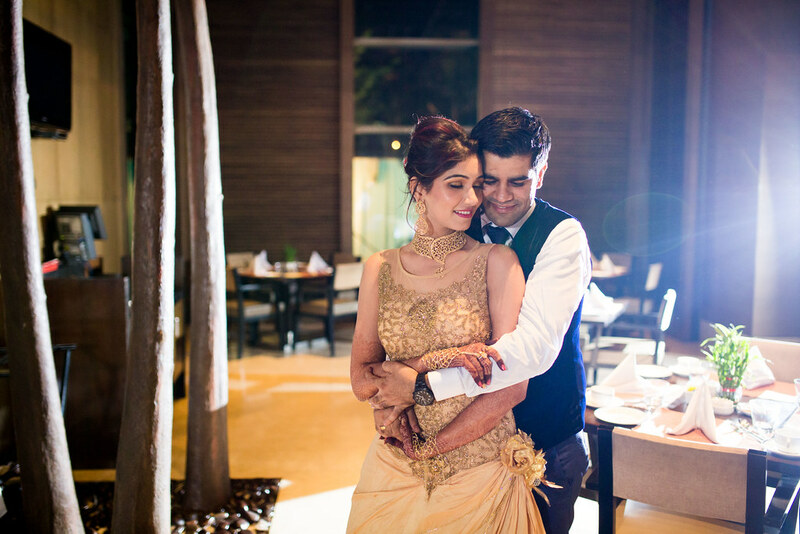 We had an amazing session with our enthusiastic couple who took out time after reception for some beautiful photographs in the hotel premises. 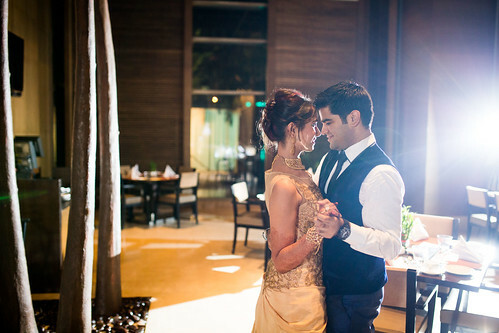 The recreation of a ball dance and a date for some romantic fairy tale photographs paid off all our hard-work.